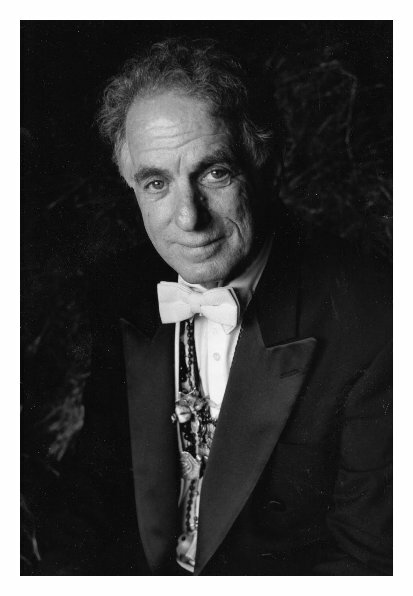 David Amram Interview with Bruce Duffie . . . . . . .
That is how the long biography begins which is on the website of the Milken Archive of Jewish Music. That entire essay is reproduced at the bottom of this page. 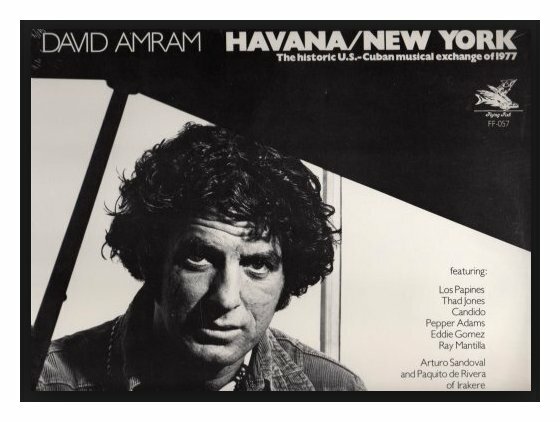 The influence Amram has made on so many people in such varied fields is enormous, and will continue to be felt for generations to come. Amram has been in Chicago many times, and in July of 1986 he was back to conduct the Grant Park Symphony in the annual Fourth of July Concerts. This happened to coincide with the annual Taste of Chicago Festival, where many vendors get booths to allow the throngs of people to sample delicacies from all over the city while enjoying the lakefront atmosphere. His wide and varied interests are reflected in his thoughts which are presented here. Naturally, his schedule was crammed full, so we actually met in his hotel room on the Fourth! It was a very relaxed hour filled with stories, ideas, and philosophy. Here is what was said on that Independence Day . . . . . . . . .
Bruce Duffie: You are composer of both serious music and jazz. Would it be right to call you a cross-over composer? 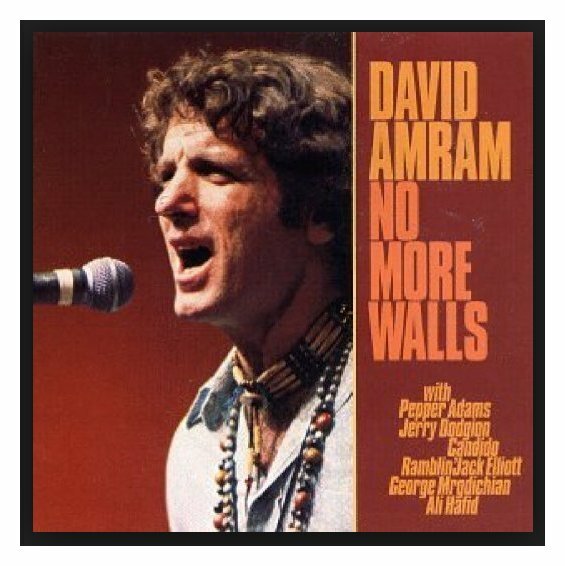 David Amram: No. I think just a composer would be fine, because basically, most of my concert music is the stuff that really I think will probably have the life. BD: Concert music will have more life? DA: I think so, yeah. BD: Why do you feel that way? DA: Because as a composer, music that’s written down has a longer duration. We’re basically not a print society, but you know what I mean. The pieces I’ve written in the jazz idiom were basically things I’ve done as vehicles to be able to play myself with different groups, and incorporate other people in the music, which I really enjoy doing very much. I’m one of the twenty most performed of BMI composers of concert music in the U.S., and the formal compositions that I’ve written are all written out because I honestly believe that the composer’s job is to create something that has some enduring value, and can reflect something of the time. So when we’re gone, just from that piece of paper, people can re-create from generation to generation those experiences. For example, the program that we’re doing at Grant Park on July 2nd and July 4th, includes An American in Paris by George Gershwin. This is a fascinating work. All of his songs or what we might call tunes or jazz compositions have had a life of their own and are played every day not only in popular music, but by jazz artists as a vehicle for improvising. His formal compositions, like An American in Paris, by being written out, enable many musicians to play and re-create some of those wonderful experiences that we have in jazz, which is a ongoing experience that changes each time you do it. So that when a composer can re-create a live experience, it’s almost like a painter or a photographer or a writer being able to capture a moment in a certain way that makes other people, who weren’t there during that moment, feel a part of it. An American in Paris is an extraordinary piece of music because it really creates what it must have been like to have been in Paris as an American in the 1920s. BD: Now you say you want it to be re-created just the same. Do you want your music always to sound exactly the same at every concert? DA: No. Music always sounds different even when you try to do it the same way, so as a conductor I try in the rehearsals to be specific enough so that in the concert the musicians can enjoy performing and be creative, and not even think about me. I am just to be there in the few moments that the conductor’s needed at the concert. That’s one of the things in conducting you spend your whole life trying to learn — when you’re necessary, and when you’re supposed to be part of the music and encourage everybody to play to express themselves, and not to be in the way of the music. When I played in one of the orchestras I started out with, we used to call it “conducting in the cracks,” when a beautiful moment is occurring. Take for example, in Lincoln Portrait, some of the beautiful oboe and flute and clarinet solos the players in the Grant Park Symphony play so beautifully, that when they’re playing [sings], all you can do when you’re conducting is to try to sense how they feel it, breathe with them, make sure that the tempo doesn’t just stop but be part of the experience, so that those people who are playing can express themselves. The way they will play it from themselves is what will make that music beautiful, will re-create the music from being something on paper to go into people’s hearts. I say that because very often people think of the conductor as being the whole show, and the musicians being something that accompanies the conductor. Actually our job in conducting is to try to be helpful to the music and to the musicians, and to be a conduit between the music, the musicians, and the audience. BD: So then, the conductor’s job really has metamorphosed from being a dictator to being an interrogator? DA: It’s almost that the music itself can capture everyone into playing together. I’m astounded every time I come to Grant Park, how well the ensemble plays, not just in the programs that I work on, but in the other concerts that I hear them play. They have such a fine way of feeling one another. It’s a very, very sensitive thing, just as in a great sports team like the Chicago Bulls, or the baseball or football teams. There’s a certain finesse when a double play is executed, and the short stop is able to get the ball to the second baseman, who leaps up in the air and throws to first base without being spiked by the runner; or the way a basketball player can know where the other person is almost by radar, what you might call ESP, extrasensory powers. The same thing occurs in music, where a group of musicians who are highly trained and highly sensitive to one another, can almost feel what is going to happen before it happens. So when you’re conducting, you have to be able to tune in to that. Now that’s very hard to explain, and I don’t think you can be taught that in music school, and I don’t think there’s any way that it can be analyzed by a computer or a machine, but it is something that definitely occurs all the time. A lot of that, of course, occurs in jazz, which is a spontaneous music, where you’re working really from a very small amount of written music. Most of it is improvised, but everyone is listening to one another and paying attention. That’s why I find playing jazz and Latin music and folkloric musics helps me enormously as a symphonic composer, and in what I’m conducting, to feel music in a broader and also a more human way. BD: Are these people with whom you play jazz surprised that you get so involved with concert music? DA: No. When I first came to New York in 1955 to study, I was working with Charles Mingus at night and going to Manhattan School of Music on the GI Bill in the daytime. I would go by Thelonious Monk’s house and he said, “Let me hear something that you wrote.” I sat down and fumbled and stumbled my way through a small composition I was writing. He said, “That’s nice. You keep doing that.” He encouraged me to continue my studies, and I not only would go to his house to learn some of his tunes and hear some of his wonderful philosophy about music and some of the beautiful music that he wrote, but he was also very interested in European concert music — the music of Bartók and all kinds of music. One time I was at his house, and he was listening to the radio. It was sort of what we could now call country music, but the older style that Hank Williams and the Texas Playboys used to play. This was back in 1955, and it was an older record then. It was an old, scratchy record and he was listening to it on the radio. I said, “Gee, Monk, I didn’t realize that you were interested in this kind of music.” It was something by Bob Wills, and he said, “Listen to that drummer.” Then they played another Bob Wills piece, and sure enough, I could hear the drummer playing very, very softly, because in the Texas swing they didn’t have loud drummers. You could just kind of hear somebody playing back there, and I never would have thought of listening to a drummer in that kind of music. Usually you listen to the fiddle player or the pedal steel player, and sure enough, Monk was listening to the drummer. He would always listen for whatever kind of music it was, to hear something that interested him. He was one of the many people who encouraged me to try to listen harder, not to make an intellectual judgment and say, “This is obviously seventh-rate music.” But rather to try to listen for whatever it was, and to try to find something beautiful and interesting in whatever it was. I learned that if there was one thing that was interesting, to listen to that part and learn from it. BD: You say that the notated music, the serious music that you write, is going to last longer than the jazz, and yet there are so many more people, it seems, that are involved in jazz and listening to jazz than there are involved in performing and listening to classical music. DA: There always will be jazz musicians who will play some of the pieces that I’ve written. Also, I haven’t ever made a conscious effort, with my jazz compositions, to use them for anything more than being able to play them myself. My concert music is published by C. F. Peters Corporation, and when I have a particular piece, or fragment of a piece that I feel has a larger value than something to be used to improvise upon, then I use it in my concert music. For example, the piece In Memory of Chano Pozo originally was written for a concert when I was with Dizzy Gillespie, Stan Getz, and Earl Himes, when the State Department gave us the sanction to go as Goodwill Ambassadors in 1977 to give a concert in Cuba. There wasn’t anything written down for that concert; we all knew each other’s music, and I wrote this little piece because I thought it would be something that might be interesting to do in the concert. It turned out so well, I decided to make a concert piece out of it, and in fact we did it at Grant Park. I wrote it originally for James Dickson’s orchestra in Iowa, and now it’s being done just about every month by different orchestras all over the place. But I turned it into a piece that was able to be performed without my being there, and it was more than thirty-two bars long, obviously. Now I don’t say that to discredit any of the jazz compositions, because I love them; I play them — not just my own, but the ones of all the jazz masters — and I think a lot of the music of Duke Ellington and Charlie Parker and so many of the wonderful musicians we know, will be here centuries from now. And I hope some of my tunes will be, too. But basically my emphasis in writing is to work on longer pieces and longer forms, and incorporate those experiences that I have as a player in my formal composition. BD: What do you expect of the public that comes to hear your serious music for the first time? DA: Wagner was asked that once, and he said, “All I hope is that people will come with an open mind and an open heart.” That’s all that you can expect. I really don’t expect anything, because I think that’s a mistake to assume there’s any obligation on an audience’s part for anything. All we can hope is that people will show up, and if they do show up, that they will enjoy all of the music. It’s our job, if we’re able to speak about it, or conduct it, or play it, to make people feel welcome, and make them feel at home. My opera, Twelfth Night, was just done in New York. This was the sixth production, and I found that it really went over so beautifully. One of the reasons was that I enjoyed conducting it, and I tried to make an atmosphere where the singers and the musicians felt comfortable, felt appreciated, so that some warmth was projected to the audience, and that they felt welcomed in being there. One of the problems we have in contemporary music is that so often the contemporary music is put in a special slot — this is for super intellectuals only, or, I apologize for playing this modern piece, but we need the grant. DA: In reality, a modern piece throughout history should be something that will give people pleasure and pride, to know that someone in their own generation or their own lifetime is continuing the art of music. Part of the job of composers is to try to have something to say, to reach other people. That doesn’t mean that you have to write only what Brahms and Beethoven and Bach already did. But on the other hand, one of the problems that contemporary composers have had until recently, is that many have been forced to believe that you have to be a victim; that it has to be a tragic, torturous experience, and that if anybody enjoys it, there’s something wrong with what you’re doing. That’s because many composers no longer play. They don’t get a chance to perform, don’t get a chance to conduct, don’t get to spend time with other musicians and with people in different walks of life, don’t get an opportunity to play with folkloric and jazz and Latin American and American Indian and Middle Eastern musicians — as I do. They also do not find out that very often improvisers and people who write shorter pieces, or who write tiny compositions, are also composers and musicians that we can learn from, about how to communicate, how to present our music, and how to deal on a humanistic level with other musicians and with the audience, to make people feel welcome, make people feel at home. It’s always a great education for me every time I go out and do anything in public, to be able to learn more about music and more about people, and more about the art of communication, so that when I’m sitting up in my room alone, or when my wife and my kids go to sleep and it’s real quiet and I’m working on something, I don’t feel that isolated because of all my experiences still in performing music, and playing, and being around creative people. BD: Then how do you balance your career — composing, conducting, performing? DA: By necessity I’ve had to learn to do all the things that I’m able to do in order to survive. I’ve always looked upon that as a blessing, rather than being angry that there’s not a Duke of Esterhazy, or a prince or a king the way there were in earlier times, as the great patron in the sky just to enable me to sit in a corner and write music. Most of my life I’ve had to find a way of doing it anyway. A composer’s desire to create music is so strong that it’s a survival instinct, just like I desire to eat, to breathe, to drink water, where we will find a way to do it anyway. Now, of course, it’s much easier because people ask me to write pieces — even pay me to do it! They pay for the music being copied, and perform it and rehearse it, which is a beautiful blessing. Something I still can’t believe, at the age of fifty-five as a promising, young, middle-age composer. [Both laugh] I have a whole bunch of pieces that I’ve been asked to write, which I’m working on all the time. In fact, here in Chicago I was working on a piece in between everything else, not only thinking about it, but writing some notes, and planning, and doing some preparation of a piece which will be done this October. I am thinking about the next piece I’m going to write, a clarinet concerto, when this orchestral piece is done, and since I’ve been here, I’ve been asked to write another piece, which I hope will come to pass because I love being in Chicago so much, all the hundreds of times I’ve been here. It would be a thrill to have something done for the first time right here. But I think that the hardest thing for most composers, and what I try to always tell composing students and also composers of my own era, is that somehow we have to keep that flame alive. We have to be resourceful, and realize that everyone has a song in their heart. Everyone has a story to tell, and all of us have something to contribute, and to try to be honest and do what you feel in your heart. That’s what will have more of a chance of lasting. BD: Do you do any actual teaching of students? DA: No. I very often go to schools. I was here, for example, with the Civic Orchestra, a magnificent group of young musicians that the Chicago Symphony sponsors, for the third year. Gordon Peters does such a terrific job in getting these young musicians together and giving them an opportunity not only to play, but to exercise what they’re learning from their teachers by reading through the vast repertoire of music and helping to prepare them, so that if they do play with an orchestra, they’ll be ready. I really enjoyed working with them. I’ll be going this summer to a place outside of Roanoke called Radford, Virginia, where I’ll be in residence for a week with drama students, ballet, English literature students, music students, composers, dancers, and singers, trying to show them all of the experiences that I’ve had not only as a jazz and folkloric player and composer of operas and symphonic music and conductor, but also when I played jazz poetry readings with Jack Kerouac. He gave me such an insight into the job a writer would have, which helped me in writing my own book; also the painters that I knew — Franz Kline, de Kooning, Jackson Pollock — who were part of that whole time in the fifties when musicians, poets, painters, would all get together and share experiences and spend time with one another. There was a community in New York and in Chicago and all across the country, where the artists would get together and have some mutual support for one another. BD: Is that still going on? DA: It probably will return, and is recurring. I’ve noticed some places in Chicago this time where they have jam sessions again, where different people will get together. A lot of people in the audience are not only musicians, but people from different walks of life, who appreciate seeing that happening; where sometimes music is a catalyst to bring different people in the arts — and just different people who like the arts — together in a nice way, to give us a common ground to be together. Certainly, working for Taste of Chicago is a beautiful example of how people can enjoy one another’s company, and where sometimes the music is a part of a larger, humanistic experience of people, who come with their families and just have a beautiful time enjoying and sharing humanity together. Very often during the Taste of Chicago concerts, I find it thrilling to see people who haven’t attended symphony concerts before come to the concert, and being in a beautiful environment, they really enjoy it and stay there. I’ve even met people who said they never attended symphony concerts before, and just wandered by and liked it so much that they’ve been coming ever since. BD: Is this a way to build audiences? DA: That’s definitely a way. It is something that everyone in Chicago should be proud of — that the city is sponsoring a world-class orchestra. That also gives people the opportunity to enjoy some of our beautiful European classics, as well as contemporary music and more popular music, in a setting that is ideal for bringing people together. Music has a way of doing that, and each generation will find its own common ground for bringing people together. BD: Are there too many youngsters trying to get into the composing business these days? DA: I don’t think there’s ever too many people that can work in the arts, any more than we can say there’s too many people that are working in sports. Using that as a parallel, not that many people can be professional major league baseball players, or work in the major basketball teams, or football, or boxing, or soccer, or golf, or tennis, or any of the sports that we have. In any music — jazz and folkloric music and symphonic music, in composing and conducting music — there aren’t that many opportunities to really make a living, and most of us who are blessed to be able to do that spent many years having other jobs to support ourselves while we were doing what we dreamed of doing anyway. I don’t think anyone is trained to think it’s going to be easy, but the very fact that you are involved in doing something like that, and have a commitment to excellence, a commitment to trying to do something beautifully — in this case of composers, which you mentioned, of trying to write something that will have value to others — is such a wonderful discipline, such a wonderful devotion, that you come out being stronger in the act of doing it. Just as in sports, with the conditioning and the dedication and devotion and the group dynamic of working with others, in the performing of music there is the listening, the ESP, the sensitivity, the learning of respect and kindness and graciousness and ensemble, sacrificing yourself for the whole. These are things which are very valuable to make you stronger in living in general. There’s a great therapeutic and spiritual value in the performing arts and in athletics and in sports and in theater and in dance, where you’re working with other people. If you’re writing a book or writing a symphony or painting a picture, you’re doing something creative with your time. One of the biggest problems that we have in this society is people having what you might call “leisure time,” and not having an outlet for that natural desire to either be creative or to do something with other people. BD: It sounds like you’re suggesting that maybe ninety or ninety-five percent of the people who go in for composing do this as an avocation, rather than a vocation. DA: Probably the only vocation, to be perfectly candid. I have three little children and a wife, and to support yourself solely by doing that would be if you were writing jingles or movie scores. I have written film scores many, many years ago. I enjoyed doing the music for Splendor in the Grass. That was twenty-six years ago. I did that for Elia Kazan, and also a film called The Young Savages, which I also did in 1960, and one called The Manchurian Candidate, which I did in 1962, and another one, The Arrangement, in 1969 for Kazan. But basically I always wanted to do what I’m doing now. So I concentrated my efforts and realized that I would have to do other things to support myself. I wrote for Shakespeare in the Park for twelve years, which I loved doing, which gave me a foundation for my opera, Twelfth Night, and my King Lear Variations, and a piece called The Shakespearean Concerto. Some of my music that gets played a lot in concert form came from those experiences, just as my experiences in jazz enabled me to write several pieces. My experiences in American Indian music enabled me to write my Cello Concerto (Honor Song for Sitting Bull), which is going to be recorded by CBC in Canada next year. My piece, Trail of Beauty for oboe, mezzo soprano and symphony, which the Philadelphia performed, is also going to have its Canadian premiere. A lot of the pieces I’ve written coming from other experiences were a result of musical adventures, musical experiences I had outside of the formal European tradition. But I think a composer’s vocation, usually, is doing something else to enable you to have the time to be able to write those pieces, and even to be able to pay out of your pocket to get the parts copied, if it’s necessary, with chamber pieces. That is to say, something with three or four instruments, you can copy the parts yourself, but when it’s an opera or a full symphonic piece, it sometimes takes longer to copy the parts out than it does to write the whole piece. DA: For your listeners who might be confused by that, it’s just that when you’re writing it, you write everything out one time through in a score. But then to extract the parts, that’s a whole other enormous job, and of course people have to be paid to do that, because they don’t have the creative thrill or the recognition of just copying out the parts. At least as a composer you get credit for it. The music copyist doesn’t, and has to do all that work of copying each part out separately. So that’s one of the problems we have in symphonic music. BD: His recognition, then, is the paycheck. DA: Yes. And very often, when you know that the copying costs will be taken care of, you feel like you’ve hit a milestone in your life. I say this not to complain or to whine. Being a composer is a blessing. Being able to have your music played is a thrill, especially when other people conduct your music. Eugene Ormandy and William Steinberg have done my pieces, and so have several young American conductors such as Bruce Hangen. He is a wonderful conductor. Kazuhiro Koizumi, in Winnipeg, is conducting and recordings my music this year. Christopher Keene has done my music, and so has James DePreist. [See my Interview with Christopher Keene, and my Interview with James DePreist.] A lot of wonderful young conductors that have done my work enable me just to sit in the shadow, almost as if I weren’t even alive anymore, and listen to the music without anybody having to know that I wrote it or that I’m even there. It’s almost the experience it is when you watch your kids do something, and you’re off in the distance and you say, “Wow! There they are.” Any parent knows that feeling, just of seeing their kids playing ball or running around with other children or just doing something nice. It just gives you a special, wonderful feeling about the perpetuation of life that is so rewarding in a way that you could never describe and never experience. BD: Do these other conductors find things in your scores that even you didn’t know were there? DA: Oh, sure, and very often I learn a lot of how to conduct my own pieces from other conductors, who study it objectively and find a lot of things — sometimes things that I did myself that I forgot about after I wrote them, because they look at them with a fresh eye. Sometimes, by the time the writing of a piece is over, you’re so happy that it’s finished. You’ve been over it so many times — in my case, so many hundreds of times. I spend a lot of time before the piece is actually published, and a lot of the details you forget because you’ve been over it so many times. So you can’t really be as objective as when you’re looking at it fresh. I find that is true when I’m looking at other people’s music — even something like American in Paris or Lincoln Portrait, all those repertoire pieces. I studied American in Paris for two months before I came to Grant Park, even though I grew up hearing it, because I really wanted to see what George Gershwin had written down. There are so many little things, beautiful things in that score! DA: Just tiny little retards and dynamic markings, and little phrasing things that he’s put in there. If you really study them you can see how that whole piece can tie together. Gershwin’s criticized for having an episodic piece, but when you really study it, you can see how that whole thing miraculously fits together in an extraordinary way. What you really have to do in conducting it is try to study it enough so you can learn all those little things that he wrote down, all those little motifs and the way they relate to one another. Sometimes when you write a piece yourself, by the time it’s over you’ve forgotten some of those little ways of connecting things. I find that the really good, young conductors — and experienced older conductors — somehow have a way of putting the whole piece together. Crucial, too, is the pacing and the tempo of the piece, the general overview that sometimes a conductor can have. Or they can tell from their orchestra how to balance certain things that you might not be able to do, especially when it’s a new piece. Because you’re so thrilled to hear it, sometimes you can’t get a good objective opinion. I’m always grateful when someone else does the music, so I can learn how they see it and how they feel it. BD: So you’re basically pleased, then, with most of the performances that you’ve heard of your works? DA: I’d say in the last fifteen years, definitely. In the beginning, it was hard, because, since I was, as Bob Dylan said in his great song, “Like a rolling stone.” I was what they would call a complete unknown! [Both laugh] Sometimes I noticed that I would have the complete unknown amount of rehearsal time, which was for a fifteen-minute piece they would spend sixteen minutes rehearsing it. [Both laugh] They’d run through it once and then they’d say, “Well, we don’t have any more time for this piece by Mr., ah, Ammanreenz, what’s your name there, son?” But at any rate, at least the people were kind enough to play it, so they would say to the orchestra, “Watch me in the place here where we fell apart. Just remember that it gets slower here and faster there,” and that would be it. Then they’d perform the piece. I was lucky to even have anybody look at it and perform it, but at the same time, it was what they very often would refer to as a perfunctory reading. 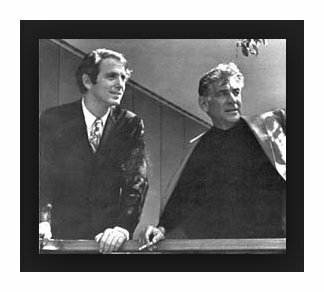 Then when I got a little better known, and after I became the first composer-in-residence with the New York Philharmonic, back twenty years ago now, in the1966-67 season [see photo at left with Leonard Bernstein], then some other people, thank heavens, began to look at some of my music. When they decided to perform some of the pieces, they would actually study it a little beforehand, and also have some rehearsal time so that the orchestra or the singers or the performers would have a chance to rehearse it. One of the things that we learn as composers is that in orchestral music, if you write a piece that requires an enormous amount of rehearsal, the chances are that the piece won’t get performed that much. So we have to learn how to achieve the same interesting ideas without making impossible obstacles for performance. The piece I wrote for the Philadelphia Orchestra, which was written in 1977, although there’s a lot of very complicated music in that, I was able to figure a way of writing so that it was simple enough in terms of the basic structure that it didn’t require that much rehearsal time, thank heavens. Even though it’s a long piece, I found that orchestras can rehearse a twenty-eight minute piece, go through it twice and be ready to perform it. The piece that I wrote for the Kansas City Symphony, an overture called Across the Wide Missouri, which they commissioned and which is played a lot now — when we did it here at Grant Park, we went through it twice and it was ready to perform. With the Toronto Symphony, Montreal Symphony, other orchestras I’ve conducted, really excellent orchestras, I’ve found if they can play through the piece twice, I can make a few comments and they can do it. It has a lot of tricky, complicated rhythms and things in it, but I was able to figure a way of doing that and notating it and putting it in a simple, rhythmical context, so that all the syncopations and counter-rhythms and poly-rhythms and things that jump all over the place aren’t that hard for the individual players to figure out how to fit together. BD: You’re not selling out, though, are you? DA: Not at all. I’m learning — by conducting the works of Bartók, Mozart, Tchaikovsky, Benjamin Britten, George Gershwin, Shostakovich, Prokofiev — how to do my job better as a composer, how to have the ideas be expressed in ways that are not that tremendously difficult for the musicians. My earlier music, even though it was pleasant to listen to and enjoyable, is much harder to play for the performers. The pieces that I write now are not that difficult, because one of the jobs that we learn — just as Matisse always said that he strived for simplicity and clarity in his work throughout his whole life, just as Stravinsky’s later music and a lot of composers’ later music — while it might be complicated in places, it becomes almost more and more playable because you learn more and more how to say it in the most effective way. And you learn how to avoid certain problems especially if you’re lucky enough to conduct. I wrote my Triple Concerto for Woodwind, Brass and Jazz Quintet for Leopold Stokowski’s orchestra, the last movement has become almost a little repertoire piece at young people’s concerts, and sometimes concerts where they have an interest in middle eastern music and jazz as being part of symphonic music. The first movement was really difficult to put together, and Stokowski told me he really liked the piece afterwards. In 1971, he said to me, “You know, David, now that you’re doing more conducting, it will help you as a composer to learn how to do what you’re doing more effectively. By studying the music of others and being part of that experience of seeing what is problematical, you will know if the violins, violas, or cellos have to come in [makes noise] like that or in the middle, or come in on an outrageous rhythmical way and cross a string, that you’re going to have to spend a lot of time rehearsing that.” So you find ways of giving the people in the orchestra who have more facility in doing certain things those parts to play. You can have any members of the orchestra doing a lot of different things if you know how to write effectively. Benjamin Britten was an example of Twentieth Century composers who wrote so masterfully for the orchestra; also Shostakovich wrote so masterfully and Prokofiev, magnificently. Yet conducting the Classical Symphony, when you find that those second violin and viola parts are enormously difficult, and the string players say, “Look how hard this is,” you can study how to do the same kind of thing without those difficulties. It’s interesting, because in writing for the voice and writing operas, in the later vocal music that I’ve written, I’ve learned much more about when to move in the tessitura of the voice, when to prepare a pitch, when to include certain low notes, and if you do, how to do it so that the singer is comfortable with that. These are things that you learn from experience, and very often in modern composition, the composers have been trained to say, “Well, the performers are the enemy.” [Both laugh] “The public is uneducated, so don’t even think about the public, or don’t even think about the performers. Just think about immortality and complexity.” There was a period when almost everything written seemed to be totally un-playable, and now we’re moving from that into an era where the composers are beginning to not only to study the masters, but to spend more time with musicians, to find out how we can do our job better. DA: I write because I love music. In each piece I’m trying to say something to leave behind, hopefully something that musicians will play and get a good feeling from, and people listening will get a good feeling from. I’m trying to share some of those good feelings that I get from music and life with others. I also try to do it in a way that has enough form and good content and material, so that it will be of interest, first of all, to the musicians who are playing it, conducting it, singing it, performing it, because they’re the ones who will keep the music alive. They’re the ones that we’re writing for, just as I honestly believe that playwrights write so that it’s not only interesting in terms of the ideas, but so that the actors will have something to do to express themselves, and a novelist would write in order for the reader to be able to be included in a shared experience. This is part of the composer’s job, and what composers traditionally have done throughout history — just as painters do, to paint a picture or a portrait or something that will share some beautiful thought, or beautiful ideas, or beautiful feelings. BD: From your point of view, what has been the impact of this explosion of recordings? DA: I think it’s a marvelous thing, because anything of lasting value that’s recorded means that you’re going to perpetuate something that’s already been perpetuated by word of mouth, by the aural tradition, by the love of musicians. So the Trout Quintet, the Brahms Horn Trio, and the Lark Quartet by Haydn, and Boris Godunov (especially the one with Mussorgsky’s own orchestration), George Gershwin’s music which was neglected very often by the more serious members of the classical music world and has only been heard as pops music — some of the magnificent music that musicians have always loved is now available for the listeners. Also, we will keep alive some of the great Renaissance music, the pre-Bach music that really is the foundation of our western music, not to mention the folkloric musics of Native American or American Indian music, Latin American music, music from the Middle East of great subtlety and complexity and beauty, traditional Irish folkloric music, and the old English ballads, as well as the works of the twentieth century composers — some of whose music is so beautiful, like Survivor from Warsaw by Arnold Schoenberg, one of his most gorgeous and almost neglected pieces that had so much emotional impact. Later in his life he began to reevaluate everything he did and moved from his assigned place in history back into a more soulful, individualistic, human way of looking at the relationship of his life experience with his music. Some of these really terrific pieces that weren’t played that much, but which musicians always love to say, “You’ve got to hear this.” Sometimes symphonies would record these pieces. Some of the old Chicago Symphony recordings with Stock and with Reiner are especially significant because the Chicago Symphony has been a fantastic orchestra for more than a half a century, but a recording orchestra for at least half a century. I heard those old records, the 78s. A friend of mine, a bassoon player in the New Orleans Symphony had all the old 78s, and when I would go down to New Orleans, I would go by his house and he’d say, “Listen to this! You want to hear Richard Strauss played? Listen to this old Chicago Symphony recording!” So I would listen and sit back there for the whole day just for the beauty of the music, and the magnificence of the playing. And some of the old recordings of the Philadelphia Orchestra with John De Lancie the great oboe player, the old recordings with Toscanini with the legendary horn player Bruno Jaenicke. These men have passed away a long time ago and people forgot all about them, but you can still hear those artists. I wrote a piece for the great oboist Marcel Tabuteau in a dedication of his memory when I wrote my piece for the Philadelphia Orchestra. I heard him and flutist William Kincaid in 1936, when I was a six year-old boy. Through recordings and re-issues we’re able to hear them. We’re able to hear Chaliapin and Caruso, and the great cantor Yossele Rosenblatt — some really fantastic musicians and performers as well as great composers kept alive by recordings. 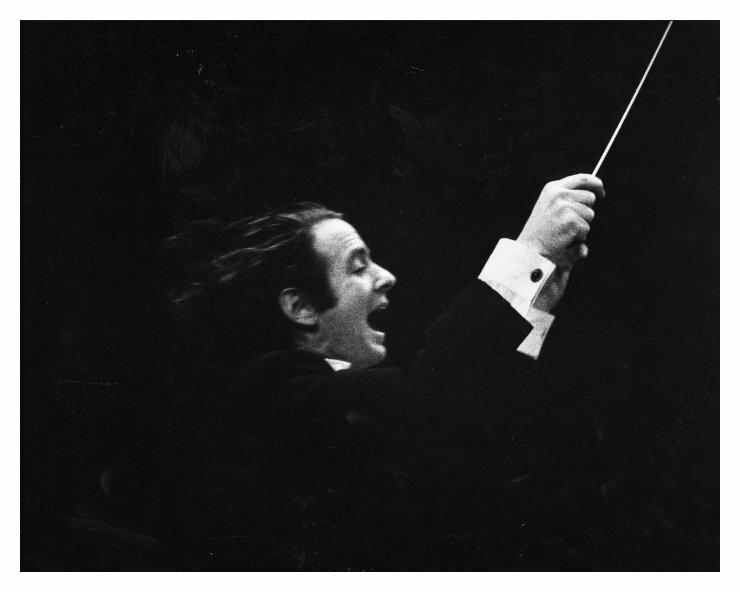 If people say, “There are too many recordings of Beethoven’s Ninth Symphony,” frankly, I don’t think there can enough recordings of Beethoven’s Ninth Symphony! I think it’s just wonderful that with cassettes and with recordings we are able to have a chance to be at home, or listen to the radio, and hear some of this magnificent music. I believe fine recordings of fine music that’s built to last will also enhance the audience for live music. DA: Definitely. We need not only to try to do what we can do well, but living in the United States — where we don’t have a system yet, as they do in Europe and in Canada and other places where they have a tremendous amount of government support — rather than being angry (because anger only interferes with your digestive process, with your circulatory system with your general nature and with your whole constitution and with the feeling that you give others), being perpetually angry doesn’t do anything except to hurt your health, and make other people feel uncomfortable. So our job as artists, since we don’t have the government support that other countries do, rather than being furious about it, is to say, “Well, until that happens, we’ll not only write letters to our Congress people, but we’ll go out and give our own support, so that those of us who are better known can help.” There’s a lot of people doing it, thank heavens, more and more. Not only I do youth concerts with fourteen different symphonies here and in Canada, I have been working at the Brooklyn Academy of Music for fifteen years and work with the Montreal and Toronto Symphonies. I worked with the Milwaukee Symphony a lot, and have done different programs. I also still go to folk festivals. I go to schools and universities. I do free concerts in the parks in New York City, so that when I conduct at Carnegie Hall or Avery Fischer Hall, or work here at Grant Park every summer, which I’m blessed to do, it’s actually so much easier because I’m dealing with an audience of people, most of whom already like this kind of music. By trying to go out and encourage, and introduce people to some of the basics of this music, we can bring people to the live music experience. Certainly hearing recordings of it and hearing it on the radio is enormously helpful and enormously important, also. I don’t think that it has to be contrary; it’s not an adversary thing. It’s just a wonderful way of using modern technology and electronics to enhance people’s lives. That’s the way all of us in music really look at it, when we think about it. We don’t complain anymore about certain aspects of the recording industry which we might not find to be of lasting value, or even certain material that’s recorded and promoted that we might find disgusting for our children to listen to and revolting for adults to listen to. Rather than concentrating our energies on that, we realize that this is something that will pass. It sometimes reflects the bad tastes and shattered lives of the people who are sponsoring that, but we can’t really concentrate on that any more than we can concentrate on earthquakes, national disasters, or mental illness, except to hope that it can be treated, and hope that it can be avoided. One of the ways to help the mental state of our society is to try to bring things of beauty and health into our lives. This is one of the great things about the Grant Park Concerts. I was speaking to Gladys, the magnificent oboe player who everyone in Chicago knows and appreciates. She plays, of course, also in the Lyric Opera Orchestra, and is a teacher and a great soloist and a great musician. She was saying how wonderful it is to see gigantic crowds of people come to Grant Park, coming to these concerts. There are never any fights or bad words or people yelling or any disruption of the concerts. People come, and the music is so beautiful and the environment is so beautiful. During the Taste of Chicago, everyone has had something to eat; people feel happy and comfortable, and the music is just part of a wonderful, happy, human experience. It’s things like that which really make you happy and proud to be working in the quality areas of music, so most of us try to concentrate our attention on that. I say that to you and your listeners, because very often a lot of us in classical music — or even in the folkloric and jazz kinds of music — get angry at the attention that other musics that only last a week receive. DA: Well, there’s some rock music that’s very beautiful, too. After all, rock ‘n roll started out as folkloric music, neighborhood music. It came right out of the Chicago blues, which came out of the southern blues. When we did the concert with Bonnie Koloc, where she appeared with the symphony, I don’t think there was one person in that audience that wasn’t listening as intently to that music as they did to the classical music in the first half. Frank Winkler’s orchestrations were superb. The orchestra played beautifully, and Bonnie Koloc and her ensemble were so outstanding! She not only sings with such warmth and artistry, but she sings so spectacularly in tune that everyone in the symphony hoped that she would come back with the orchestra again. She’s a classical level artist, along with any fine opera singer or violinist or violist or pianist who would play with an orchestra. When you have quality musicians together in the same arena, almost any kind of a program will come off well. I say that because it’s not the idiom of the music, it’s the intent, and if the intent is just to blast people out of their seats or to make teenagers, who are feeling insecure, go into a frenzy so that they’ll buy a record, this is something which is understandable but it’s not something that we have to concentrate our efforts on. We don’t have to be angry about it, because as Chief Seattle said, when he was speaking to the people in the Duwamish Ceremony, “This, too, shall pass.” The wonderful thing in music is to know that there is an audience, especially in Chicago where you can have blues and folk music and jazz and Latin American music — all enduring forms of music which are indigenous to the United States, coming from Africa and Spanish and European heritages, but which still have their form that was created here in the United States — equally appreciated with some of the magnificent, beautiful musics that came from Europe. Many of us who’ve come from a European background find that the places we came from sometimes don’t even exist anymore in the map. They’ve been taken over by Russia or by other countries. Sometimes the countries no longer even exist under their names, but the languages are still here and the music and the composers are still here. In the case of Austria, for example, people don’t wear white powdered wigs anymore and live in castles. There aren’t any princes and kings. All that’s been gone, but that music of Mozart and Beethoven and Haydn still sounds beautiful. A lot of the composers who worked in Russia, where they were under the most terrible dictatorships, still were able to create music that is not itself in jail, so their music is free, even though the composers may have lived under tyrannical conditions. Their music is free for everybody. That’s the nice thing, that the music can surpass politics and geographical differences, and speak the voice of humanity that every single person in the world shares. We all have a heart that beats, and the heartbeat in music, when it’s true music, touches our own heartbeats. The sense of family that hearing a symphony or an opera or a chamber group, or a good group of any kind of musicians playing together, that ensemble feeling is an extension of the family feeling. When the family can get together and sit down at a meal, and instead of arguing and fighting and yelling at each other, there’s that nice quiet. You’re sitting there, and you can feel that love and closeness, and without saying a word you get a certain strength from that communal feeling. Music reminds us that that’s the natural state for us, and that’s the way human beings have always been, and that’s the way societies have survived and how individuals have found spiritual health by having that extra feeling that people being together, harmoniously, gives all of us. BD: I want to be sure and ask you about your operas. You’ve done two — Twelfth Night and also The Final Ingredient. DA: Yes. I was happy that Twelfth Night just had its sixth production recently in New York, and a little FM station there made a digital recording. Because it was done at NYU, most of the people were either in school, or they would run from their day jobs and come in with their brief cases and an instrument and pull it out and warm up, and play. So we rehearsed much more than we ever would have if we had had a professional orchestra. The singers also had other jobs. We rehearsed for about two months, and I had a wonderful young man, Dean Williamson, who was able to rehearse with the piano when I had all my other jobs. My wife, being understanding, knew that I really wanted it to come off as well as if it were a professional production, so every minute that I had off we worked and worked. Certainly the second performance came off so beautifully that I have a digital live recording of the opera, which is of standards that will be good enough so that I’ll be able to bring it to different people and have it played, which I’m really excited about. And it’s going to be done several other places now. It was based on Shakespeare’s Twelfth Night, and every word is Shakespeare’s. The libretto was adapted by Joseph Papp, who started the New York Shakespeare Festival. Thirty years ago I wrote the first music for a New York Shakespeare Festival production, when the Festival wasn’t even in Central Park. In fact, the summer of 1957 was when they first went in the park, and I started with them in 1956. Jerry Stiller, of Stiller and Meara, came down to the opera recently. We worked together twenty-nine years ago with Joe Papp. He came to hear the opera, and it was really great to see him again and think back to almost thirty years ago, when we were working in the park. Some of that nice feeling had been preserved because a lot of my inspiration and ideas for putting Shakespeare in an operatic form came from the twelve years I spent writing music for those productions in the park. Interestingly enough, it’s been done six times in different stage productions, and since C.F. Peters has published the music, a lot of the excerpts are sung by singers all over the country, and it’s been done with orchestras. In fact, we’re doing part of it with members of the Metropolitan Opera Orchestra this Labor Day in New York at a concert that I’m conducting along with works of other composers. But it still hasn’t been staged in Central Park. It was, interestingly enough, the first piece that I ever wrote, where it was designed to be done out of doors, and it’s only been done indoors. We still haven’t had our outdoor production yet. Of course, so many of the other pieces that I wrote for symphony orchestras — like the Philadelphia Orchestra and Pittsburgh Orchestra and Kansas City Symphony and the New York Philharmonic and others — now get played a lot in the summer concerts and parks concerts that I’ve worked with all over the country. But the one piece that I wrote with that idea in mind still hasn’t been done in the park yet. So that’s one of my dreams, eventually, to have it done for Shakespeare in the Park, and Joe Papp hopes that someday we can find the funds and the way of having a production of it out in the park. The other opera, The Final Ingredient, is a Passover opera, which I wrote for ABC Television in 1965. It’s a one-act opera, and it looks like there might finally be a production of it on the stage. One of the problems when you write a one-act opera is that you really need to find another opera to go with it. BD: Now, what should be the other opera? 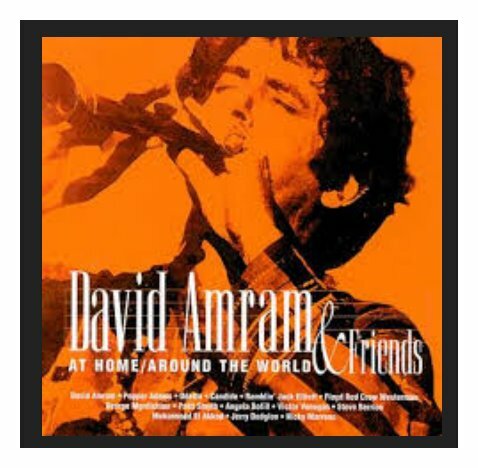 Should it be another one by David Amram? Should it be another contemporary work? Or should it be, maybe, an old intermezzo or something like that? DA: What I’ve been thinking of, and what someone already suggested, is that I write a second one that would fit, so they could both be done at the same time. I’m considering that, and if not, I may possibly start on another two-act opera. Twelfth Night is about a fifty-eight minute first half and a fifty-seven minute second half, which is just an ideal length for a contemporary opera, because it’s very difficult for the audiences to sit through anything that’s that much longer, unless it’s already one of the accepted classics of Puccini and Verdi and Rossini. Even some of Menotti’s operas, which are so charming and so enjoyable, are not that long. The Telephone, and The Medium, are one-act operas, and The Consul and The Saint of Bleeker Street aren’t of tremendous length. They are very, very beautiful and interesting works, but even Menotti himself said once, “The shorter, the better.” [See my Interviews with Gian Carlo Menotti.] He’s also so gifted as a stage director. He’s the only composer I know who can do the stage direction that well. I’ve conducted my opera recently in New York, and I’ve conducted my own works a lot, but stage direction is a whole other gift and a skill, and I think Menotti’s the only one I know of who’s ever been able to do it that well. I would never dare try to do that. I do a lot of things with music, but as far as stage direction, I would always, out of respect for the theater tradition, let someone do that who really knows how to do it well. BD: But would you get involved in something like the German productions, where the staging is so far out in left field? DA: [Laughs] Well, I’m not sure, to tell you the truth. Even though I do a lot of spontaneous music, and have done programs in different parts of the world where I would just play with musicians — I would just be playing a percussion part, or not even know what it was I was supposed to do — or get groups of people together at folk festivals who never played before, and make up a little piece where they could be comfortable, I still have, personally, a feeling of respect for any kind of tradition. In my own particular view, if they’re doing Puccini or they’re doing Wagner or Rossini, which are beautiful, beautiful operas, and they want to do it with people wearing motorcycle helmets or cowboy outfits, certainly anyone is entitled to do that. But frankly I think that the composers that wrote the music and the librettists that wrote what they were doing, especially when these pieces have survived for a hundred or two hundred years, really deserve the respect to continue their tradition. They maybe might try to add some freshness or some humanity to it, or update a nice feeling to it, but I feel it should try also to preserve some of the tradition. If it’s lasted that long, there’s got to be a reason for it because a tradition has been handed down from generation to generation. Of course, when Wagner’s grandson does some of those wild productions, he’s entitled to, because he’s Wagner’s grandson, but I personally would always try to study — as I’ve done with the folk music and with jazz and the other musics I do as a performer — to try to learn from the masters, just as I have in composing, to learn from the master composers of the past, and in conducting, to try to remember what I learned from Mitropoulos and Pierre Monteux and Stokowski and William Steinberg. BD: I wonder what you’ll be saying when you’re looking down from Heaven and seeing your own grandson doing all kinds of weird things with your operas. BD: Is Twelfth Night something that should be done at the Met? DA: That’s not for me to say. It sure would be fun, but if it’s not done there, I certainly wouldn’t have my feelings hurt because it can be done with a very small group of musicians. I also think everything is just going to happen the way that it happens. One of the problems we can have in music is that if you set the goal of being a good performance or a good composition or a good job for what you’re doing, you just end up not doing what you’re supposed to do well any of the time. I asked my teacher a long time ago — Abe Kniaz, who’s from Chicago, a great French horn player who is now teaching in Canada — “Why does that conductor look so angry all the time?” He said, “Dave, it’s because he’s not listening to the concert. He’s mad because he’s down here in Washington and he’s not conducting the New York Philharmonic.” I asked, “Isn’t he glad to be here?” and Abe said, “No, obviously, or he’d be listening to us.” [Both laugh] So I learned from that philosophy from him a long time ago, just as he would play so beautifully on the horn. He’s conducting now in Quebec at the university, and the students love him because he’s an encyclopedia of music. Wherever you are, whatever you’re doing, make that your all. One of the great band leaders, Oscar Pettiford, with whom I worked said, “Dave, remember, whether we’re playing at Birdland or in a club, it’s always Carnegie Hall, every time we play. When you step up on that bandstand, it’s like church or temple. You’re in a blessed place and it’s serious business.” I mention that because any time that you have something that’s being done, it’s always important, and always a beautiful experience. When I was here with the American Conservatory two years ago, we did a concert at a little church in Chicago. It was so much fun! It was such a thrill to see all those young people get together. When I was here at Orchestra Hall and worked with Chicago Civic Orchestra, just conducting them in the hall where the Chicago Symphony plays and seeing all these young players playing was such a thrill. We just to read through the music, and I took that as seriously as I would conducting any major symphony orchestra because there we were, making music together. I say that because, in answer to your question about the Met, it would be great to have them do something, just as I was thrilled when the New York Philharmonic played my music and the Philadelphia Orchestra played my music and Cleveland and the Boston Symphony have done my music. But any place that it’s done or any place that I’m conducting is always just as important to me. Any real composer, or any conductor or any musician or performer or singer, dancer, actor, feels that way, and always tries to bring with them, hopefully, the very best each time, to know that each time has to be the only time and it is the best that we can possibly do. When you do that, it’s always an enjoyable experience. Earlier I mentioned sports and it makes me think of really marvelous athletes. At the end of his career, Willie Stargell, a peerless baseball player, who is also such a great leader for the Pittsburgh Pirates — as kind of a spiritual leader for all these younger players — was narrating Lincoln Portrait with the Kansas City Symphony during the Truman Centennial. That was also when I wrote the overture, Across the Wide Missouri, which we did here at Grant Park. I had the chance to spend some time with Stargell alone, and he spoke to me about how it was, as an athlete, always having to do your very best all the time, and also the responsibility of projecting to younger people a good picture — not only of athletic skill, but of character and of the work ethic, and of trying to be considerate and respectful to other people. Besides doing the narration of Lincoln Portrait, which he did superbly, he also did a wonderful piece he did that Joe Schwantner wrote, which is being done a great deal now, a piece dedicated to Martin Luther King, New Morning for the World ("Daybreak of Freedom"). In any event, he took all of that as seriously as he did his athletic career. He had a marvelous speaking voice and a wonderful presence — what they call charisma — but he was very, very serious. He was studying with a voice and acting teacher, and he did the narration as well as anyone I’ve ever heard. But he was very, very serious about that, and spent a lot of time studying just so he could do it better. He was interested in listening to records and listening to music. He took everything that he did, not only in his athletic career, but in his other careers that he has now, very seriously. He was a very devoted person, and he said that the athletic work gave him the mental discipline to be able to go on to do other things. Always feel like you were starting each day from the very beginning. BD: Can’t there come a time, though, when you take things — even life — too seriously? DA: Oh, sure. I think that the key is, certainly in music, to do your homework. As we’re sitting here talking you can see that I have my score right next to the tape recorder, and my score looks almost like a pointillistic painting of Seurat who had ten million dots on the canvas. I have my scores marked up so much you can barely see the music, because I study them and mark them and look at them so much. It’s called doing your homework. I take that part seriously at home, and when I come to conduct the orchestra I can try to make it fun for everybody because I know pretty much what I’m supposed to be doing beforehand. And the same thing in composing; I do the serious work at home. The seriousness you try to do at home, and then if you can bring something good with you, everybody knows that you’re serious. You also have to be accustomed to realizing that the mistakes are a part of life, and accept that — especially your own mistakes, because when you can accept your own errors, you can learn from them and not do them again, and you won’t make other people feel bad. BD: If you conduct this piece again won’t there come a time that you should get a clean copy of the score and then make new marks? DA: Usually, by the time the performance comes around I don’t look at it that much anyway. But I always have it there like a security blanket, because in the event that something goes wrong, you could help to readjust it if the music is there. This is true especially with opera. If the singer jumps ahead a measure, the orchestra can’t do that, so you have to go back and you become very calm. Then when the singer doesn’t come in, you hold up your hand and you stop the orchestra, and you try to motion to the singer to please come in! If you can do that without creating havoc, you can get out of the most potentially disastrous experiences, and no one will really even know. I spoke to a lot of artists who play in the Grant Park Symphony who also play with Lyric Opera, and I was saying, “Boy, after conducting two performances of my opera before coming here, this is really almost like paradise, just to be able to work in a more easy and highly professional musical context.” One of the members of the orchestra said, “Yes, in opera you can never really just sit back and relax, because you never know when disaster will strike.” But the wonderful thing about the musicians who play in the opera orchestras — and the opera conductors and the singers — is that everyone is always ready for when something mysterious happens. The task for an opera singer is to be able to act and to be able to sing. This is something that surpasses the imagination. To be able to sing and project that music, to be able to act and portray a role, to be able to do all the staging and move around and make it look like it’s happening spontaneously and still to be able to have it come in the right tempo is a phenomenal achievement, and the fact that the singers do as well as they do is a miracle to all of us who work in music. So when we’re working in the conducting or performing capacity, we’re always ready to try to adjust to the singers and be supportive to them, and give them a good accompaniment, so that whatever does happen, it will seem like that’s the way it’s supposed to be. BD: Are you going to write any more operas? DA: Oh, I hope so. It’s a beautiful form, and there are so many wonderful young opera singers now who are superlative musicians who can also act so well. Sometimes when you go to an opera with some of the younger singers, it’s a whole new dimension, because you’re actually watching the total theater — magnificent music that also has a life of its own as theater on the highest level. So there’s a whole aspect to opera which is still yet to come in our American culture, and I think that there’s going to be more and more of it. If it turns out that as composers we only have to write for twelve instruments or for five instruments or just for piano, opera is going to be here to stay. It’s having hard times now because of the economics, but there are the skilled people that can do it. That’s a sign that when you have the people who have the skill, the art is on the way up. The business might not be on the way up, but the art’s on the way up, and the art is ultimately what counts. DA: Well, I thank you for having me as a composer. I’m honored to be on your program, and I thank everyone at your station for making it possible for people in Chicago, and the outlying areas of Chicago, to be able to hear beautiful music. If you can’t come to hear the Chicago Symphony or Grant Park or Ravinia or all the places where music is played live in Chicago, and the greater areas of Chicago, to be able to hear this beautiful music on the radio is something that can enhance your whole life, your whole day. For people with families, to have their children be able to know that there are musicians and composers and conductors and performers of skill and devotion who are trying to do something beautiful for others, gives us a much better feeling about living in the 20th century. It reminds us that we have a society that has a beautiful past, which our music reflects, a beautiful present, by the fact that we’re doing it, and a beautiful future, by the fact that there is new music that will enhance future generations. Listen, I really thank you for doing this, man. It’s a real honor just to be on the program. You have such a great station. All the musicians listen to it. BD: Good! I’m glad to hear that. During his military service (1952–54) Amram was stationed in Europe and played with the Seventh Army Symphony, after which he toured for the State Department, playing chamber music. In Paris for a year, he devoted himself earnestly to composition and also played with jazz groups—including Lionel Hampton’s band—and he fraternized with Paris Review circles and such writers as George Plimpton and Terry Southern. In 1955, he returned to the United States, having resolved to focus more rigorously on fine-tuning his classical composition crafts. He attended the Manhattan School of Music, where he studied composition with Vittorio Giannini and Gunther Schuller and conducting with Dimitri Mitropoulos, and he also played in the Manhattan Woodwind Quintet. [See Bruce Duffie's Interview with Gunther Schuller.] He supported himself by playing with such prominent jazz musicians as Charles Mingus at Café Bohemia and Oscar Pettiford at Birdland, and he led his own modern jazz group at the Five Spot Café on the Bowery. This interview was recorded at his hotel in Chicago on July 4, 1986. Portions were used (with recordings) on WNIB in 1987, 1988, 1990, 1995 and 2000. The transcript was made and posted on this website early in 2014.